Today was the day testing got serious, I can’t say it better than Ted Kravitz. Another day filled with sunshine and the teams start to relax as they get more mileage under their belt and the lap times start tumbling. 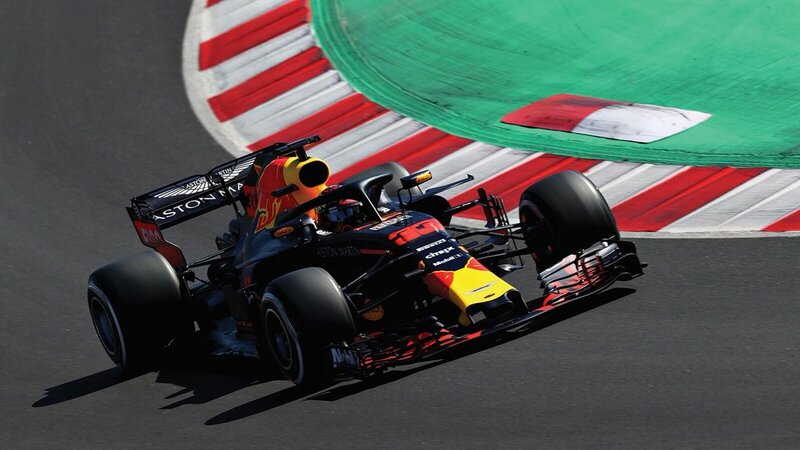 Although you’ll probably be expecting a Mercedes or Ferrari to be the star, Ricciardo in the Red Bull smashed the fastest lap of the test with a 1m18.047s on the hypersoft tyre. The three way battle at the top is very much alive. Another 165 laps on the board shrugs of any concerns of reliability following Verstappen’s brake down yesterday and McLaren’s ongoing struggles with the Renault engine. The new beginning isn’t quite what everyone expected for the new McLaren Renault partnership. After three breakdowns during yesterday’s practice, it was Alonso’s turn to try and get the car round safely. After being top of the timesheets in the first couple of hours the McLaren broke down again due to an oil leak and spent most of the day in the garage. There definitely seems to be more pace than last year but Renault and Red Bull are having far less reliability issues. Worryingly the Toro Rosso finished one place above Alonso in 5th and completed over double the amount of laps. After the driver chaos at Toro Rosso at the end of last season everything is falling into place for 2018. It will be interesting to compare the mileage at the end of the two weeks. Hamilton and Bottas also made it into the 1m18s as most drivers on the grid recorded a personal best time for the test so far. Mercedes are yet to use the Hypersoft tyres with Ricciardo conceding the Silver Arrows are likely to be a couple of tenths in front when that time comes. Raikkonen was too ill to take charge of the Ferrari this morning so Vettel stepped in and completed 66 laps. There were no stand out lap times but some long consistent runs on the soft tyres were promising. Raikkonen took over in the afternoon to complete another 49 laps but will be hoping for some more time this week to get up to scratch. Force India had a few seconds in the spotlight as Ocon recorded the fastest time of the test this morning only for it to be ruled out for breaching track limits. Instead they finished done in 12th on the timesheet and with Perez acknowledging they are no longer top of the midfield it could be a tough season ahead. Williams have also disappointed in pre-season and with Stroll and Sirotkin ending the day in 10th and 14th they will be hoping to find some more pace before Melbourne. Kubica is back in the car tomorrow, can he put some more pressure on the current driver line up? Renault completed 190 laps between the two drivers but failed to get into the 1m19s. Sainz still managed to finish 7th on the timesheets as Renault continue to believe everything is going to plan and as expected. Will that be enough going into Melbourne? The Haas continues to improve this week and looks like it could challenge the midfield with Grosjean finishing 8th on the soft tyres and completing 78 laps. At the bottom of the grid, Charles Leclerc had another long run of 160 laps before coming to a stand still on the gravel at the end of the day. Sauber continue to prop up the timesheets but they definitely have a better package than last year. The teams are really starting to let loose now as lap records start to be broken. The big three are pulling away but lets be thankful that it looks like a big three instead of a two. At least if Vettel loses the plot again, Ricciardo and Verstappen will be there to challenge Hamilton. I wouldn’t discount Bottas but I can’t see him out performing Hamilton over a season and Raikkonen doesn’t really have a chance given Vettel’s demands of a number one and two driver.